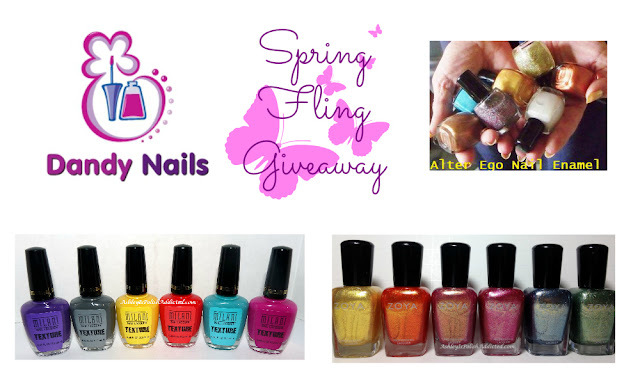 It's warming up outside (for some of us) and I can't think of a better way of welcoming spring than to host a giveaway! There will be 4 winners for this giveaway. I have two awesome indie makers contributing and I am donating 2 complete polish collections. Let's take a closer look at the prizes! 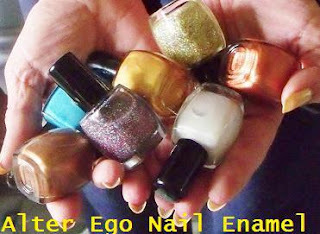 Prize #2 - Winner's choice of any FOUR Alter Ego polishes! Giveaway is open internationally (with the exception of Italy) and runs through Monday, May 20th at midnight (because I decided that all giveaways should end on a Monday!) Void where prohibited. Must be 18 to enter. Winners will be notified via email address they provide in the Rafflecopter widget and will have 36 hours to respond before a new winner is drawn. ooh I do love me some Zoya. Thanks for doing this awesome giveaway! Thanks so much for this amazing giveaway! I don't own any of these brands! So sad. I love your blog and your giveaway! It's a chance for me to get these brands because they are not otherway available in my country! Thank you! We love your work and your giveaway is amazing! take a look at our blog. It will soon be in English too! We can foillow each other! I would love the Zoya collection and especially the Milani Texture collection, since I have yet to spot it at all near me.